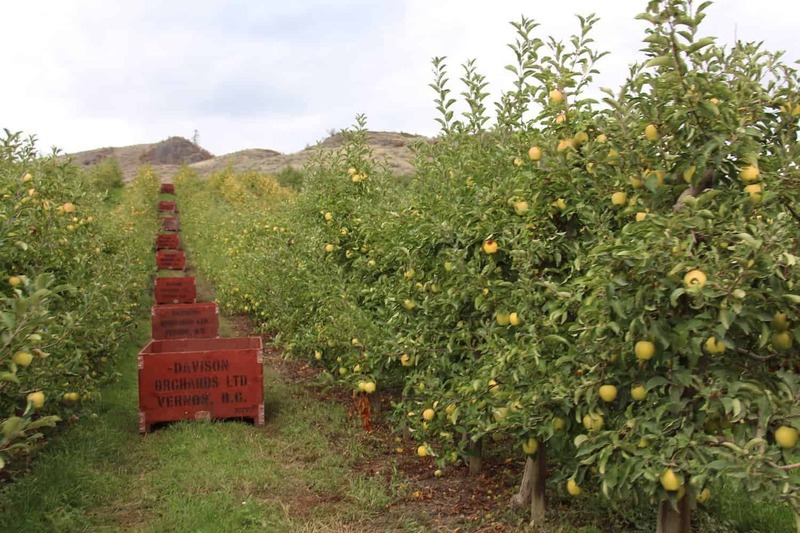 Davison Orchards is one of the North Okanagan’s most popular tourist attractions. Davison is a working apple orchard which has developed a substantial on-site farm market. They cater to both tourists and locals with fresh fruit and produce. 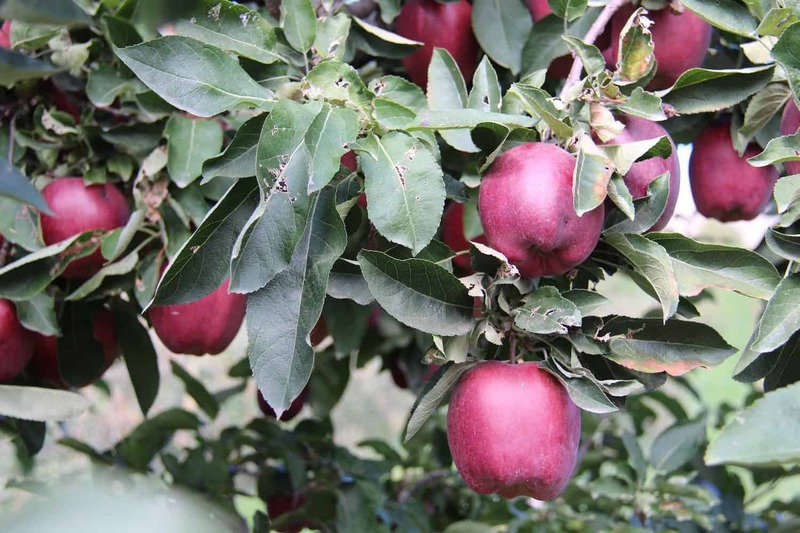 Every weekend in September, Davison Orchards hosts their annual Apple Festival. It is a very cute autumn event. The farm market is in full swing, with bushels of produce on display, cooking demonstrations, and tractor-powered farm tours. Our own organic apple trees aren’t bearing much fruit yet, so we have been going to the orchard each Fall to pick apples. 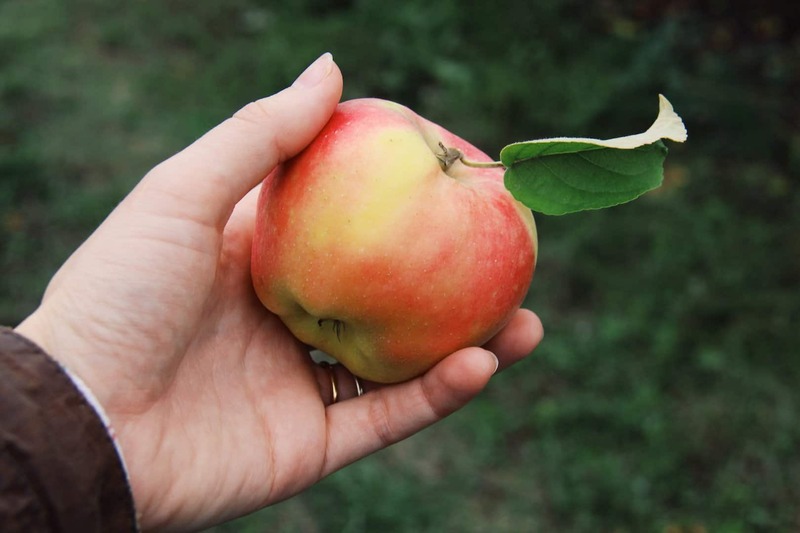 Although Davison Orchards is not certified organic, they follow many sustainable agriculture practices, including crop rotation, using water-wise trickle-irrigation, and planting non-GMO varieties (no Arctic Apples here!). The apple picking tour at Davison Orchards is reasonably priced for the amount of apples that are included. A $12 adult ticket will get you 10 lbs of apples. This is cheaper than buying apples at the grocery store, and a lot more memorable! Visitors board a tractor-powered “train”, which consists of apple boxes on wheels towed by a vintage John Deere tractor. It is very cute, to say the least. We freeze the apples we pick on the tour so they can be added to smoothies throughout the year. I find that apples add a nice gentle sweetness to smoothies for a more reasonable price than buying berries. Spending time in the orchard is always refreshing. There is a lovely view of the city and of the grasslands surrounding Vernon. Walking up and down the rows of different apple types is also very interesting. It is neat to see the variation in fruit size, apple colour, and foliage between the different types of trees. 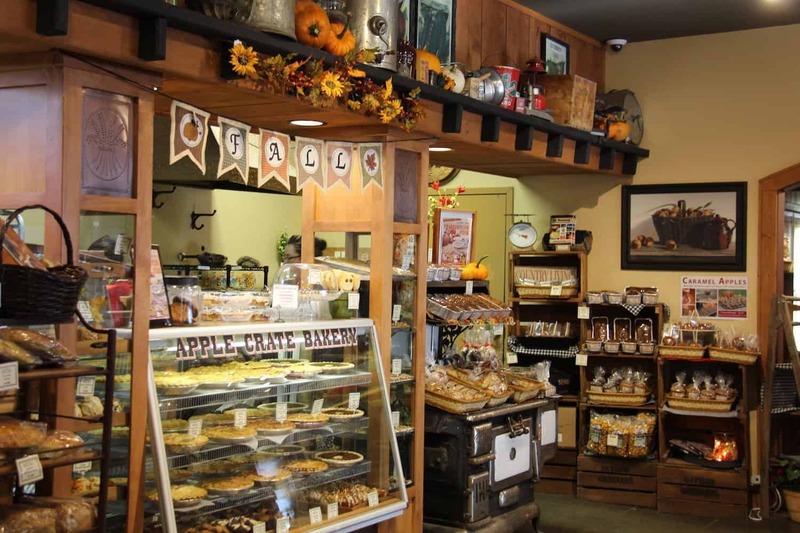 After our apple picking tour, we sometimes treat ourselves to some warm apple cider or apple pie in Davison’s little farm market store. They have both a bakery and a little bistro, both of which serve food made from their own apples. This year we bought 4L of apple juice to bring home. Kyle has been heating it on the stove with some cinnamon to make hot apple cider. The house smells absolutely delicious with hot apple cider on the stove! It’s the perfect cozy beverage for a Fall afternoon. Have you ever gone apple picking in the Fall? Do you have a favourite orchard or other apple picking spot? What do you do with all the apples you pick? Share your stories in the comments below! Looks like a lovely day! It’s nice to spend some time outdoors appreciating the harvest season. So true :) And yes, it sure was lovely!